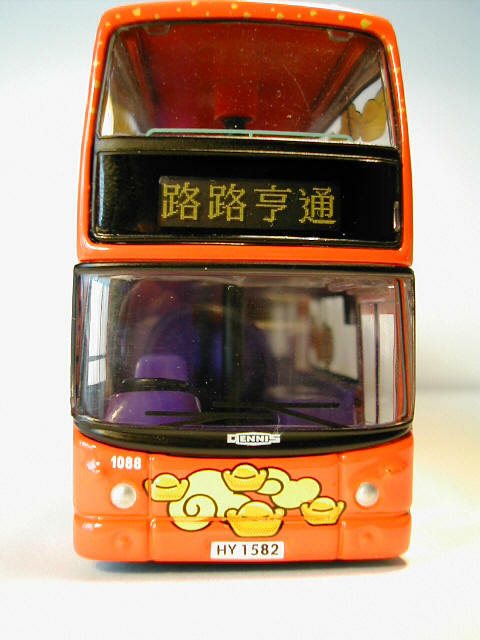 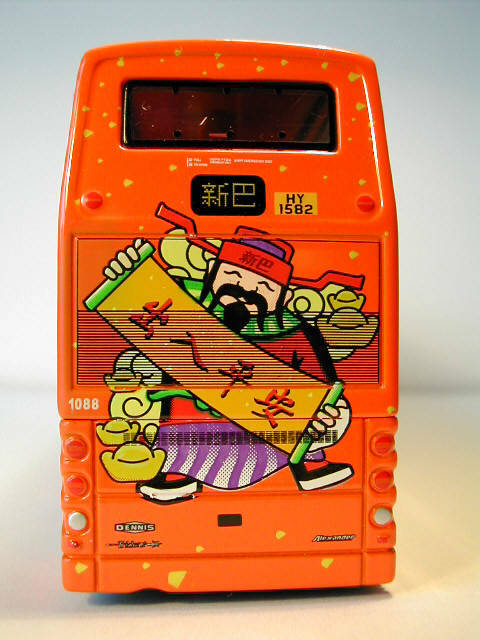 The model - this model was issued in Hong Kong in June 1999. I have just received my "Wish Bus", and believe it to be the best model issued by Corgi to-date. 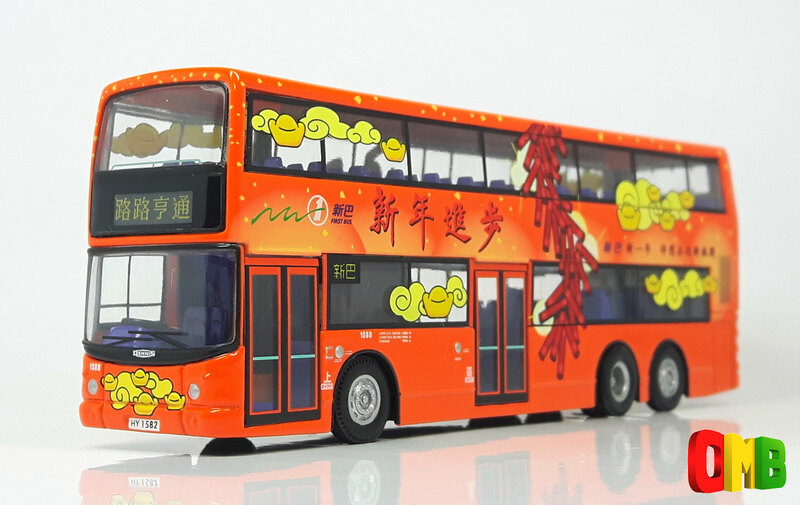 Included with the model is a sheet of transfers, including over 100 gold ingots, which can be added to the bus, if desired - a nice touch! - 13 July 1999. 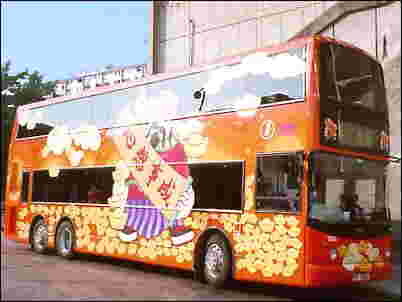 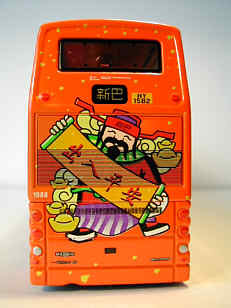 The bus - in February 1999, to celebrate the Year of the Rabbit, New World First Bus decorated Fleet No. 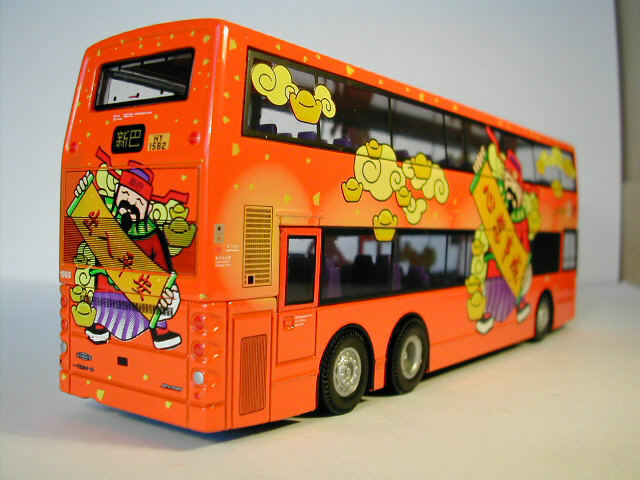 1088, an Alexander bodied Dennis Trident in red/orange, with patterns that symbolised luck and happiness. The bus carried the God of Wealth to all districts on Hong Kong Island, bringing best wishes to the community, and passengers were able to write their personal New Year messages on lucky gold ingots attached to the bus.